To make Windows users have more and better user experience, KVC Inc. has released Kigo M4V Converter Version 5.2.5 on Aug 3, 2016. In the new updated Version 5.2.5, uses can directly search some a video to import for converting. And in the subtitle track setting window, users can select all and then convert videos. After conversion, users can keep AD audio track as you need. When you update the M4V Converter to the new version 5.2.5, you will have a new signature of M4V Converter. 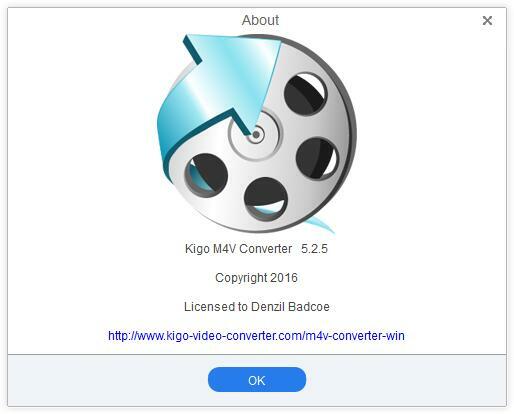 In addition, Kigo M4V Converter is a professional DRM removal tool to remove DRM from your purchased iTunes M4V videos and can convert to MP4, FLV, DVD, 3GP, MP3, and more and more popular video and audio format at a high output video quality. If you are an iTunes movies fan, you may like Kigo M4V Converter. Because after the conversion of M4V Converter, all the purchased movies don’t have the up to 5 devices playing limits, and you can play the converted movies anywhere and anytime. So amazing. KVC Inc. is a software development company with expertise and experience in video and audio converting and editing applications. Our products are known for high quality, excellent performance, reasonable prices and perfect after-sales service, and have won the overwhelming majority of the user's trust and support. KVC Inc has launched a series of video and dvd converting and editing tools, with them, you can make full use of your videos and have more fun.